Celebrating the holiday season, League City Garden Club holds its “Christmas Luncheon Celebration” at Sundance Grill, 800 Mariners Drive, Kemah, Texas, Wednesday, December 14, 2016, 11:00 am. Bringing a gardening related gift of $15 or less to the celebration ensures your fun in the White Elephant Garden Gift Exchange. Come join the fun! Greetings Gardeners! It's almost time for League City Garden Club to resume it's meeting schedule. Summer is (almost) behind us. Come celebrate with us Wednesday, September 14, 2016 for a social at 10am, meeting at 10:30. We will be putting the finishing touches on our 6th Annual "Through the Garden Gate" Garden Walk. Need to buy a ticket? We will have them there. We meet at Hometown Heroes Park. The new official address is 1001 East League City Parkway, just across Hwy 96 from Village of Tuscan Lakes. Purchase tickets online by clicking this link! Due to approaching inclement weather the Garden Club meeting for Wednesday, March 9th has been cancelled. Members, please remember to mail in your $30 club dues AND, if you have signed up, $25 for April field trip ASAP. 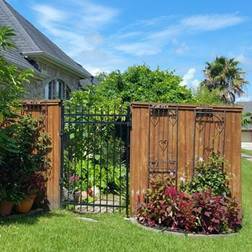 The address for the League City Garden Club is P.O. Box 1273, League City, TX 77574. Please join us on Wednesday, February 10, 2016 for a very informative program given by Galveston County Master Gardener, Chris Anastas on Growing Native Milkweed. As you may know, Monarch butterfly populations have been declining for years. This unfortunate event is due in part to the loss of the host plant - the only plant Monarch butterflies lay their eggs on and the only plant Monarch caterpillars eat. Also, most of what we have is called tropical milkweed and it would be better for butterflies if we added native milkweed to our gardens. Looking forward to seeing you there! 1. Why is planting native milkweed especially important to Texas? Please join us for the Club's January meeting on Wednesday, January 13, 2016. We begin the morning with a Social at 10:00 a.m. Then at 10:30 a.m., we will have our program. Master Gardener, Tricia Bradbury will ask us if we "Want to bring our "Green Thumb" Indoors?" Come discover the fun and challenges of gardening indoors. She will show us how to bring fragrance, fruit and healthy improvements to our home's air quality. Anyone interested in gardening is always invited to join us. We hope to see you at Hometown Heroes Park, 2105 Dickinson Avenue, just off Highway 96 (League City Parkway).